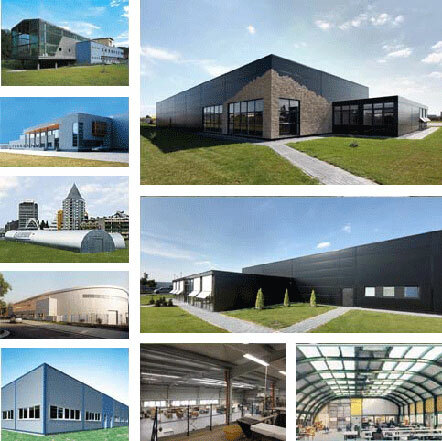 As one of the most successful European enterprise in our branch we build, sell and charter premium-quality modular buildings for more than 40 years. 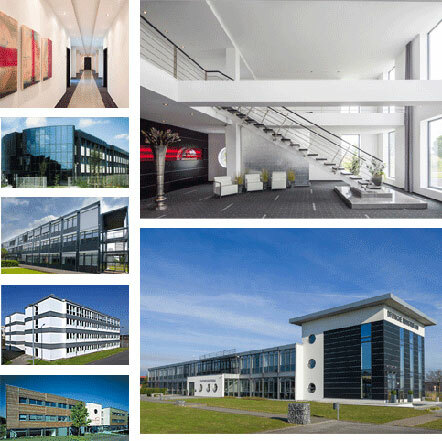 DEUTSCHE INDUSTRIEBAU GROUP is THE company for the construction of industrial indoor facilities, modular buildings and mobile offices. Pavilions and maritime containers complete our range of products. With the aid of over 75 employees and 150 associate companies we can realize your demands and conceivabilities individually, economically and just in time. 30% more cost-effective than normal massive construction, individual adaptation of space requirement by extending or removing the modular room units, our very brief construction time of just a few day along with flexible space, color and glass design, are just a few of advantageous features of our modular construction. Our business activities in construction of prestige industrial indoor facilities contain norm-, steel- and systems halls, add on offices for halls just as halls with round arch or halls with straight side walls and round roof-top for large scale industries and public clients. We offer different funding options like buying, chartering or hire purchase. 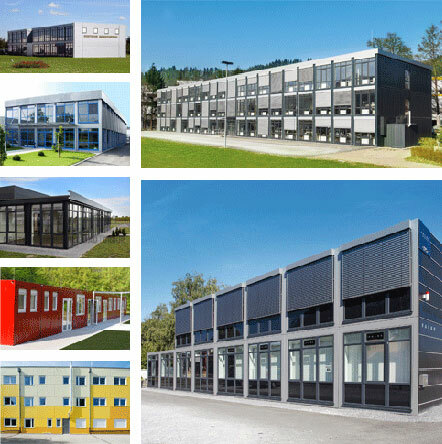 The modular construction of DEUTSCHE INDUSTRIEBAU GROUP provides customized solutions: from office containers Economy Line, that are immediately available for your urgent need to flexible office containers Business Line, all the way to our high-quality prestigious container facilities. We stand for budget-friendly utility costs and a swift implementation. 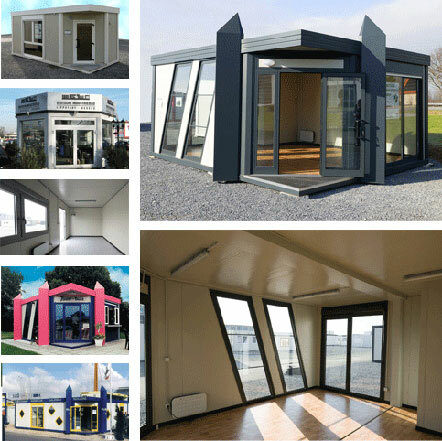 DEUTSCHE INDUSTRIEBAU GROUP delivers pavilions and kiosks made to measure, with individual facades (e.g. glass), beautiful architecture and roomy office and sale areas. We always have a huge variety of new or second-hand office pavilions, sale pavilions and kiosks. We have the right offer for you, whether you like to buy, to lease or to charter. 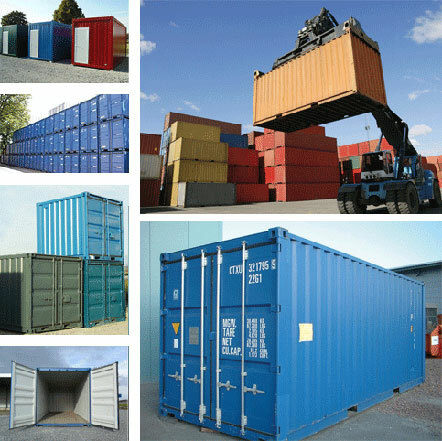 New or second-hand maritime containers are available in different qualities, colours and sizes. We always store a huge number of 8ft, 10ft, 20ft and 40ft maritime containers in our depots – ready for delivery on demand. Our containers contain not only economical prices but also high quality standards and short delivery periods from different depots all over Germany. 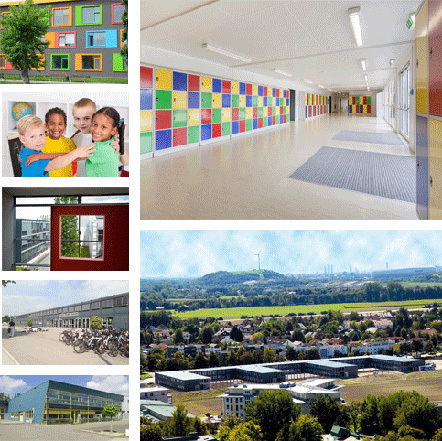 Flexible and fast solutions for daycare centers, kindergarten, schools, universities, residential accommodation or office buildings. Whether if it’s new construction, extension or addition of stories, the modular and container as municipal constructions are always deployable promptey, and will provide you high-quality solutions (customized to your individual needs).